The use of mobile devices has become commonplace for both our personal and professional lives. Businesses understand that employees often utilize their personal mobile devices in the workplace; however, this raises several safety and privacy concerns that must be addressed. 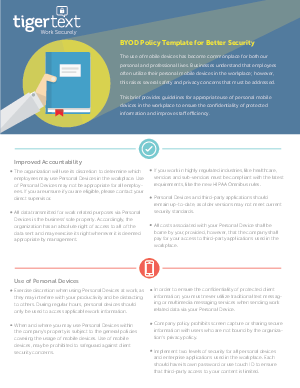 This brief provides guidelines for appropriate use of personal mobile devices in the workplace to ensure the confidentiality of protected information and improve staff efficiency.